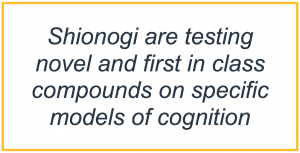 Shionogi are committed to growing their drug discovery efforts and pipeline in central nervous system (CNS) diseases. 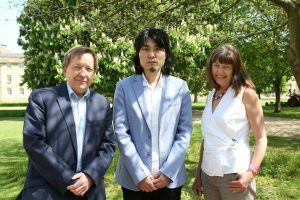 In partnership with Professors Trevor Robbins and Angela Roberts at the University of Cambridge, Shionogi are testing novel and first in class compounds on specific models of cognition. The combination of world leading academic knowledge and expertise in drug discovery will enable the development of new preclinical methods and models to evaluate cognitive functions which will improve candidate selection and reduce attrition.